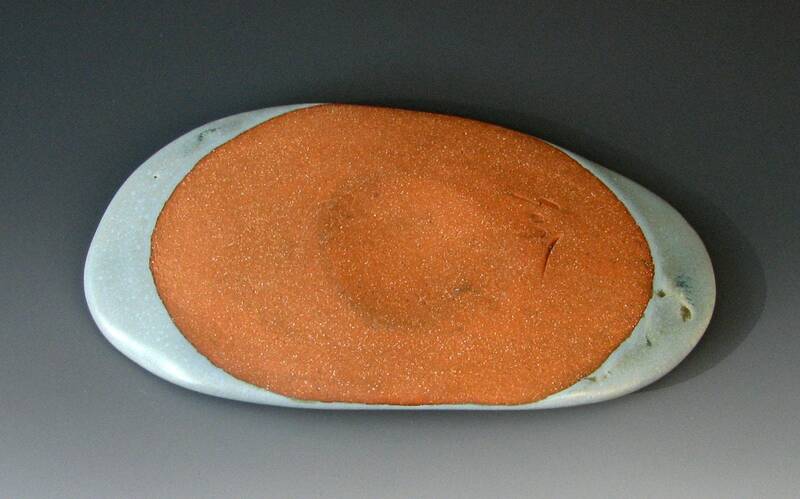 A wheel-thrown and altered soap dish made of red stoneware and fired to vitrification for strength and durability. 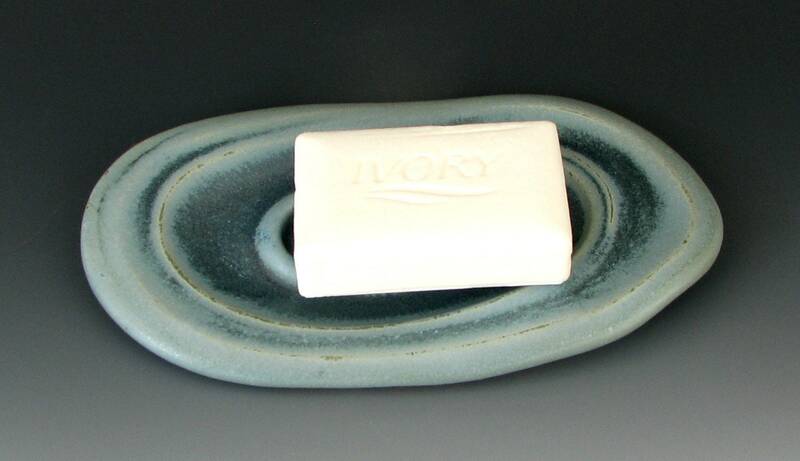 A long heat soak at 2300 degrees allowed the glaze time to develop a rich, interesting blue. 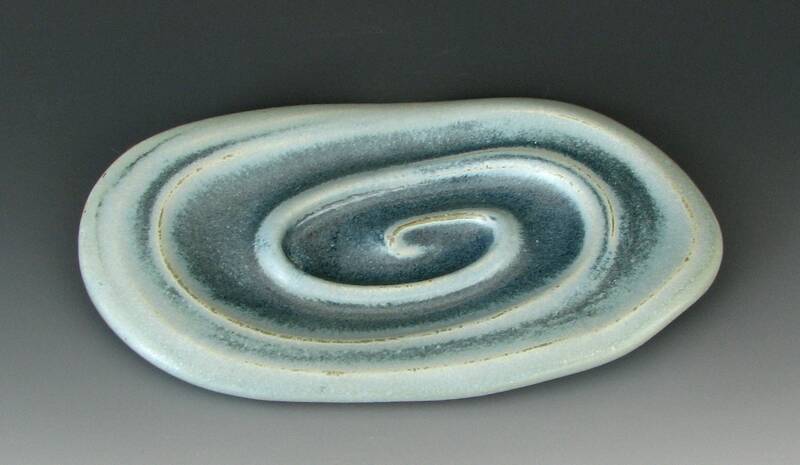 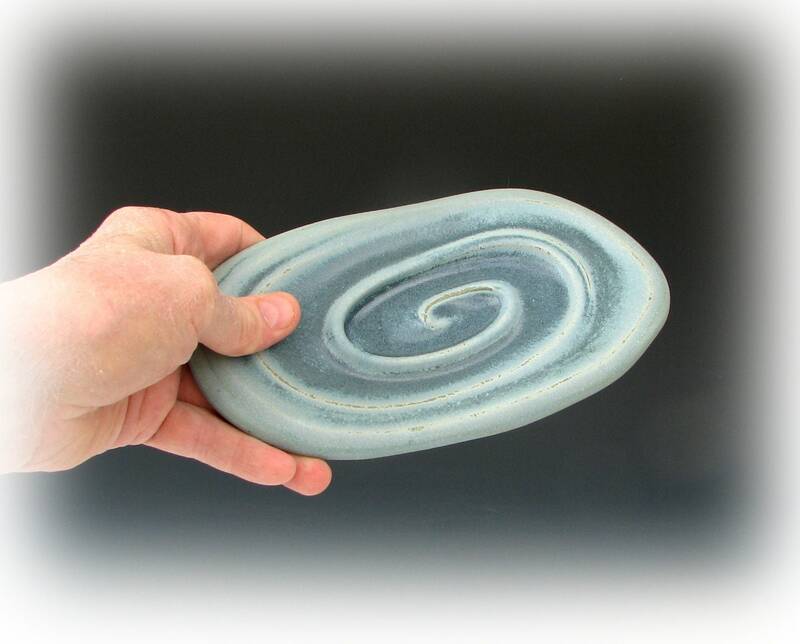 The spiral design raises the soap to help keep it partly out of the water in the dish. 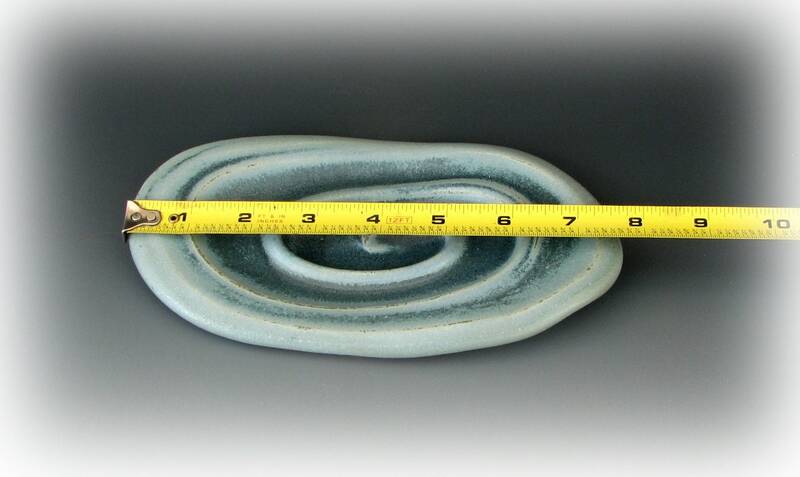 About 7 3/4 inches long and 4 1/4 inches wide.